Every year on September 30, Canadians are asked to wear an orange shirt to acknowledge the painful legacy of residential schools and the harm that Canada‘s residential system had on generations of Indigenous families and their communities. In the spirit of reconciliation, the Ministry encourages schools across the province to take part on Friday September 28, by wearing an orange shirt and raising awareness with students. 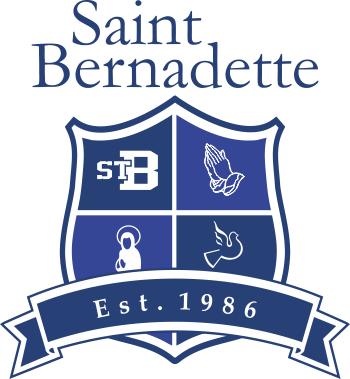 St. Bernadette School will participate on Thursday September 27th (there is no school on Friday). Students are asked to come in full uniform on Sept. 27th. Each student will be given an orange wristband to wear in honour of the day. We hope they keep the wristband to wear on Oct. 30th and following Orange Shirt Days. Some staff members will be wearing orange shirts purchased through the Lower Fraser Valley Aboriginal Society in support of their involvement in our communities. Please visit http://www.orangeshirtday.org for more information. ALL ORDERS ARE TO BE PLACED AND PAID FOR NO LATER THAN FRIDAY, SEPTEMBER 28TH. Just a reminder that October’s tuition will be processed on October 1st.